Petrovac was first mentioned in the chronicles of father dukljanin. Once called Lastva, it was founded as a settlement in the late 18th and early 19th centuries of interest are two small churches, built in the 14th and 15th century, after wich the settlement takes its name, Kastel Lastva. 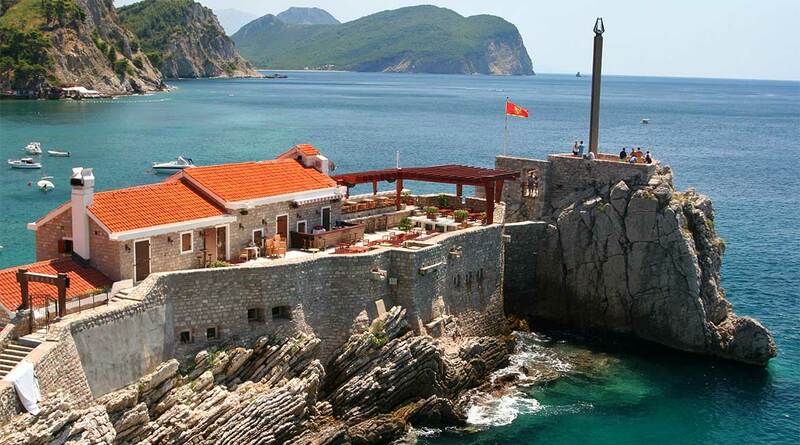 Petrovac is located on the coast between Budva and Bar, where the old mountain road from Podgorica reaches the coast. It has a 600 meter long sandy beach and it is a popular tourist destination. 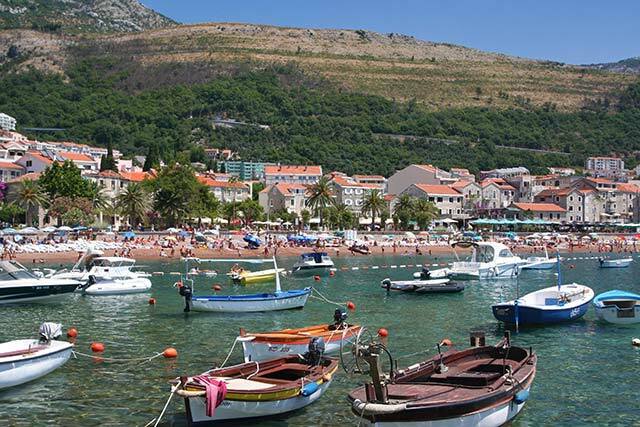 Petrovac is seen as a somewhat “calmer” resort, in contrast to the lively and developed nearby towns of Budva and Sutomore. 20th century in honor of King Peter I Karadjordjevic of Yugoslavia. Before, the name was Lastva. In the bay there are two islands Katič and Sveta Sveta Neđelja, of which there is built on one small chapel. Built as thanks for saving a life of a shipwreck who went to disaster. At the beginning of the 20th century, about 300 inhabitants lived in Petrovac. In the Second World War, secret British agents landed in nearby Perazića Do. They planned to contact the Yugoslav partisans (Operation Hydra). Yugoslavia. Petrovac is today a popular summer beach resort, its visitors coming predominantly from Montenegro and Serbia. Tourist accommodation has expanded greatly in recent years, although less obtrusively than at Budva and the quality has also improved in response to market demand. The resort’s main attraction is its beach. There is a night club in the old castello. There is ready access to neighboring beaches at Lucice and Buljarica. Offshore from Petrovac are two islets: Katic and Sveta nedjelja with a small church which, as legend has it, was built by a seafarer who was saved from a shipwreck on this island that art is long lasting and life is brief can be seen in the priceless cultural heritage found in Petrovac and its surroundings. Beauty and its time lessness are reflected in secular and religious buildings dating from late antiquity and early Christianity where floor mosaics represent the earliest signs of art in this region. At Miriste beneath Petrovac in 1902 a mosaic was discovered from the 3rd or 4th century. From the very begining of 17th century one should mention, now in a poor state of preservation the frescoes in the church of the holy cross in Novoselo above Petrovac, and also the frescoes in the church of St.Thomas in nearby Zukovica. 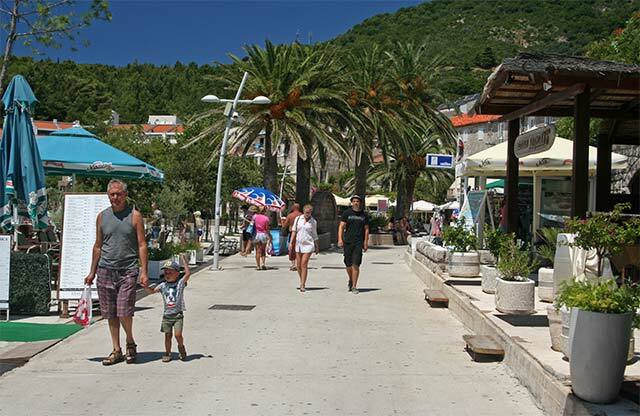 Petrovac is therefore seen as a somewhat “quieter” resort, in contrast to the lively and developed nearby towns of Budva and Sutomore. But because of the smaller size it can feel even busier than the above mentioned in the summer months of June and August, because in this period it really peaks in contrast to the other months in the year. The city itself offers 5 large hotels and also a large variety of private accommodations. You can always choose to stay in the city, from where it is only a 10 minute walk to the coast. It is also possible to spend your holidays in the nearby settlements, Lucica and Buljarice, which are also known for their calm, clean beaches and healthy air. hotels. There are fewer olive trees and less vegetation, while the beach with its small pier, pedestrian walk along the beach, new and old hotels and houses along the coast, restaurants and cafes are all the new tourist history of this place, one of the most important tourist centers in the Budva riviera. 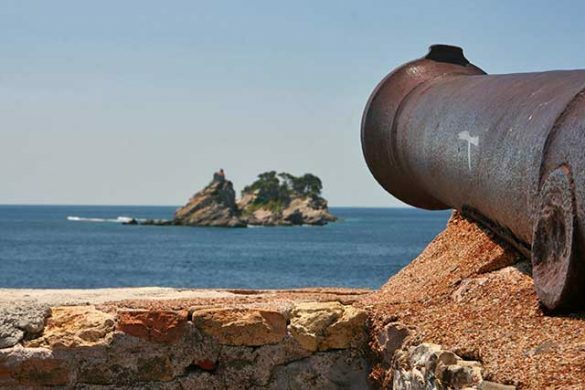 The new tourist image of Petrovac is enriched by the monuments of the past. Petrovac has a mild Mediterranean climate with almost 300 sunny days a year, and is characterized by numerous bays, long beaches and small bays with sand, which are among the nicest in this region. Hotel Palas – Hotel Palas is located right on the beach in Petrovac, surrounded by olive and orange trees. The restaurant serves regional cuisine and international specialties. The hotel has several terraces (all with sea view), a semi-covered swimming pool, a sauna and a spa department. You can also play bowling and table tennis. In addition to the Palas you will also find a multi-functional sports field. Location – Petrovac, 0,1 km from the center. Facilities : Free Wi-Fi I, Indoor Swimming Pool, Outdoor Swimming Pool, Breakfast Options, Restaurant, ATM / Cash Machine on site, Luggage Storage, Tour Desk, Wake-up Service, 24-Hour Front Desk, Meeting / Banquet Facilities, Balcony, Terrace, Garden, Safety Deposit Box. Hotel Danica – Surrounded by pine forests, palm trees and cypresses, the hotel is located at the foot of a hill, only 150 meters from the nearest beach. The park in which the hotel is located is on the UNESCO World Heritage List. The Hotel Danica offers excellent accommodation for families, couples and singles who are looking for maximum comfort and good service in a beautiful setting. Even people with poor health will be able to enjoy a good stay here. Facilities : Free Wi-Fi, Free Parking, Breakfast options, Bar, Restaurant, Mini Bar, Balcony, Terrace, Garden, Sauna, Swimming pool, Laundry (surcharge), 24-Hour Front Desk, Ironing Facilities, Safety Deposit Box. Petrovac Holiday Apartments – Holiday Apartments is located in the center of Petrovac, 300 meters from the sandy beach and 400 meters from the 4th-century Roman Mosaic. It offers self-catering accommodation with free Wi-Fi. All apartments feature a flat-screen TV with cable channels, air conditioning, a balcony, a fully equipped kitchen or a kitchenette and a private bathroom with a shower. Some apartments have a sea view. Location – Petrovac, 0,3 km from the center. Facilities : Free Wi-Fi, Free Parking, Terrace, Balcony, Airport Shuttle (surcharge), Laundry (surcharge), Ironing Service (surcharge). Apartments Neda Bane – Apartments Neda Bane offers air-conditioned apartments with free Wi-Fi. All units have a balcony with sea or mountain views, and the nearest beach is 700 meters away. The apartments are equipped with a TV and a full kitchen with an oven, fridge and a dining area. The private bathrooms are equipped with a shower. Laundry facilities can also be used on site. Location – Petrovac, 1,3 km from the center. Facilities : Free Wi-Fi, Free Parking, Pets Allowed, Shuttle Service, Balcony. Apartments Kovačević – Located 300 meters from a sandy beach, Apartments Kovačević offers air-conditioned accommodation with free Wi-Fi. The apartments feature a seating area with a sofa and a flat-screen TV with cable channels. Each room has a fully equipped kitchen and a dining area. The private bathrooms include a bath or shower, hairdryer and free toiletries. Car rental is available at Kovacevic Apartments. Facilities : Free Wi-Fi, Free Parking, Terrace, Outdoor furniture, Ironing Facilities, Car Hire, Airport Shuttle. St.George Apartments – St.George Apartments is located on a hilltop and offers panoramic sea views. It offers modern, air-conditioned accommodation with free Wi-Fi. 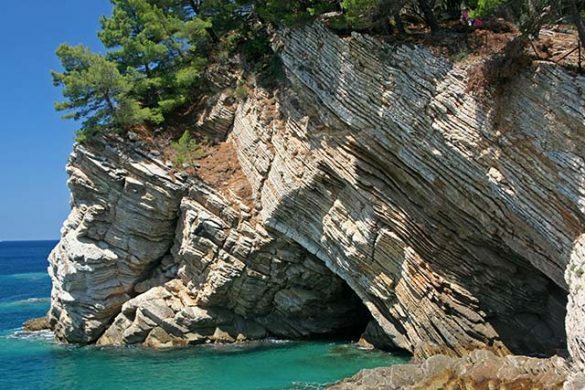 It is located 600 meters from the center of Petrovac na Moru. There is a sandy beach 300 meters away. These spacious apartments are decorated in light tones and have a terrace or balcony with sea views. They consist of a flat-screen TV, a fireplace and a fully equipped kitchen with a dining area. The private bathrooms include a shower, hairdryer and free toiletries. Facilities : Breakfast options, Free Wi-Fi, Terrace, Restaurant (à la carte & buffet), Laundry, 24-Hour Front Desk, Garden, Bar, Mini Bar, Sea View, Free Parking. Central Bay Apartments – Central Bay Apartments offers accommodation with free Wi-Fi and access to a garden. All units at the apartment come with a flat-screen TV with cable channels, a private bathroom with shower and a fully equipped kitchen. All accommodation has a terrace with sea views. Facilities : Free Wi-Fi, Free Parking, Terrace, Balcony, Garden, Ironing Facilities, Sea View, Daily maid service. Despite the town’s small size, it has a football club, OFK Petrovac, in the Montenegrin First League. They play at the town’s stadium, called Pod Malim Brdom, which literally means Under the Little Hill in Montenegrin language. In the 21st James Bond film, Casino Royale, Petrovac was the location of the eponymous casino. In the film, little is seen of the town, only the casino’s environs and an outdoor cafe. A part of the movie Brothers Bloom was filmed in Petrovac. The locality has often been used in music videos of regional singers. Lovćen national park — Mount Lovćen rises from the borders of the Adriatic basin closing the long ang twisting bays of Boka Kotorska and making the hinterland to the coastal town of Kotor. The mountain has two imposing peaks, Štirovnik (1,749 m) and Jezerski vrh (1,657 m). The mountain slopes are rocky, with numerous fissures, pits and deep depressions giving its scenery a specific look. Standing on the border between two completely different natural wholes, the sea and the mainland, Lovćen is under the influence of both climates. Risan mosaic’s — visit the site of Roman ruins and some fairly well-preserved mosaic floors that had been in a Roman house during 2nd century A.D. The island of Gospa od Skrpjela — The Island Gospa od Skrpjela is one of two gorgeous islands in the Boka Kotorska, which are situated in the bay across from Perast (in the Kotor municipality). The other island, which also should be visited, is the Island Sveti Djordje. That island is also called “the island of the dead captains”, because according to a legend one French soldier, by shooting from cannon towards Perast, hit a house of his beloved girl and killed her. That legend was a motive for the master piece “The Island of the Dead” by the Switzerland painter Beklin. The Island Gospa od Skrpjela is an artificial island, made by seaman from Perast and Kotor, who on their big sail boats brought in large boulders. According to stories, fisherman from Perast, after a shipwreck near the island, found an icon of the Holy Mother of God with the Christ on a sea rock, so they vowed to build a church on the island. They built the church in 1630. As the island had to be maintained, seaman continued to bring in stones, so that tradition is alive even today. It is called Fasinada from Perast (July 22). Get out on the pier of Tvrdjava Kastelo. Go sunbathing on the city beach or the surrounding beaches.